This is an excursion tailor made for those of you who love to shop, or maybe you just have lots of gifts to buy! We start the day at the Gold Centre, where as well as buying some fantastic jewellery you can see some of the processes that go into making it. Then move on to biggest market in the region. We stop in Fethiye market where you will be able to pick up some great bargains. 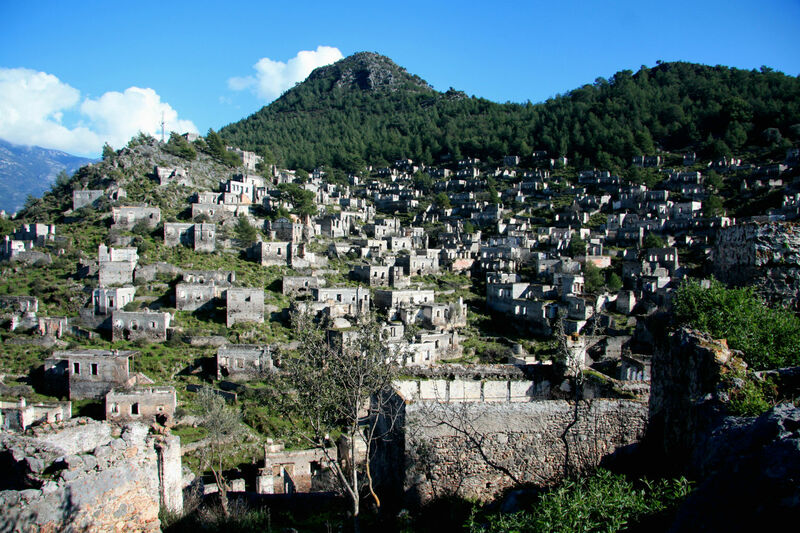 Then we visit the old Greek town of Kayakoy “Ghost Town” where you can explore the church and houses of the village now famous in the Louis de Berniere book ‘Birds without Wings’. Lunch is served in these surroundings. 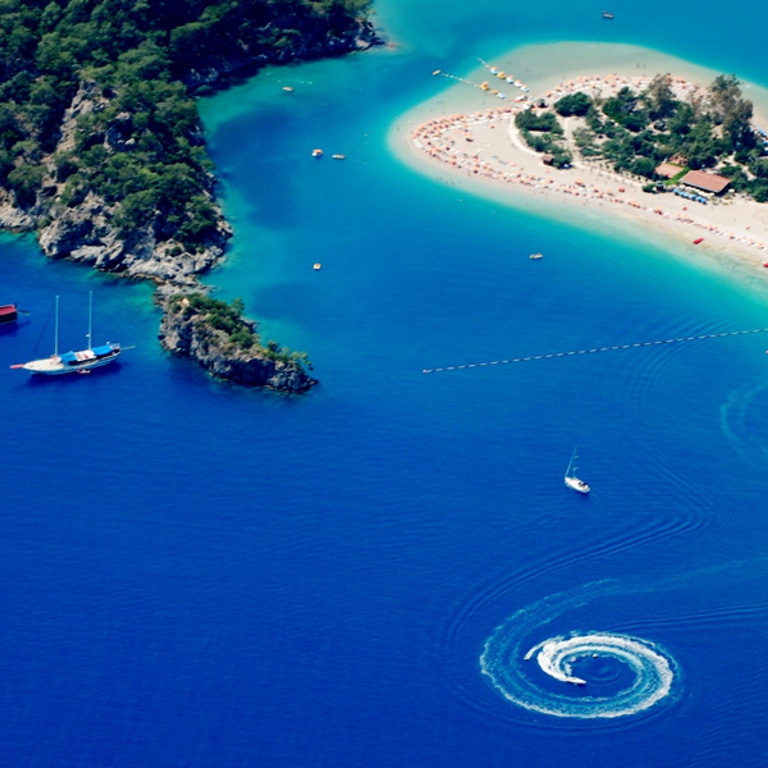 Afterwards we make our way down to Oludeniz, Turkey’s most photographed beach. Here you can soak up the sun or spend some time in the Turkish bath. 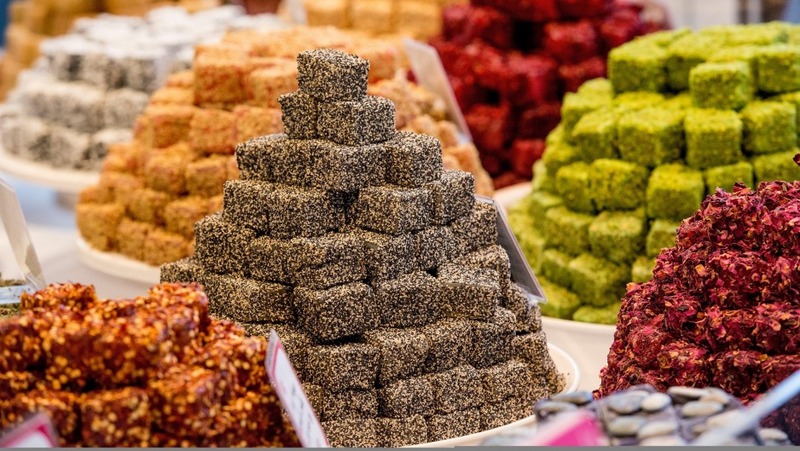 On the way back to Kalkan we stop in a Turkish delight factory.